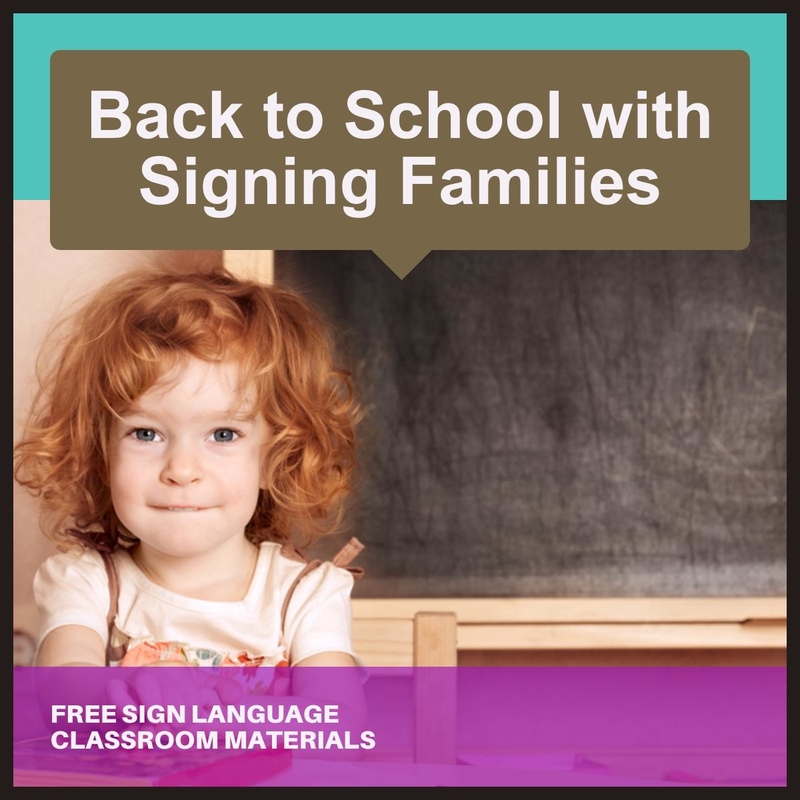 This year – start your BACK to SCHOOL planning with FREE Sign Language Programming from SIGNING FAMILIES! Am I kidding? Free lesson plans?? This year I have decided to offer via my educational platform – SIGNING FAMILIES – a FREE series of beginner sign language classes. These classes will be “subscription only” but FREE to all who register. Each lesson starts with target vocabulary by age. Preschoolers will get simple words to learn while older students will be instructed to more enriched vocabulary, the alphabet, numbers and grammatical concepts. For all students discussions about Deafness is encouraged. Resources are offered. How to present the material, videos, downloadable photos and images and creative ideas to practice – all are part of the lesson plans. Lastly, an opportunity to exchange ideas by asking questions will be a feature! Once you subscribe the access codes to the lessons, as they become available, will be emailed to you. There is no “hidden agenda” to this offer. Simply to educate more people about sign language. I have seen so many positive outcomes when people know sign language – even the basics. If you like the idea, but don’t want or need lesson plans for sign language instruction – please consider sharing this information. Who knows?! – An educator may happen upon your post and love the idea! Questions? Please use this contact form to ask any questions! I will not sell my list of subscribers to any company. Your info is kept private!